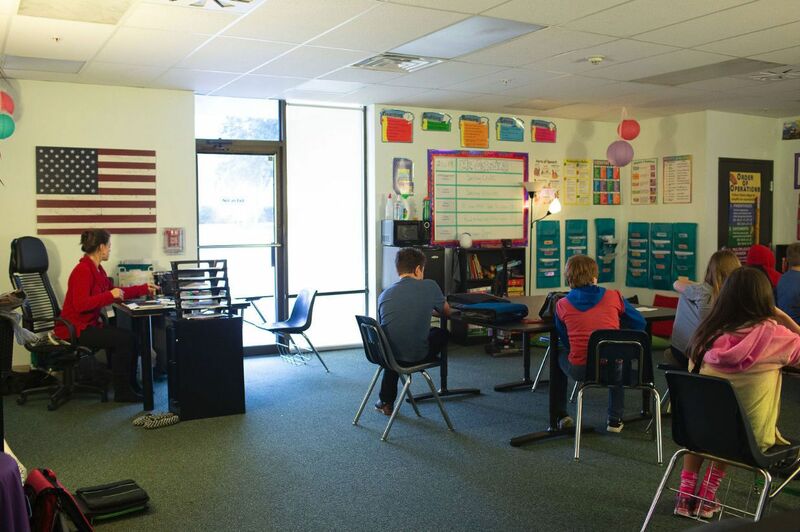 Our middle school program includes grades 5-8 and provides a classroom of no more than ten students and one teacher. At this age, students begin to rotate classes and experience different teachers for each class. The academic program is divided into a six-period day. Students begin and end each day with a homeroom period. Courses are enriched or modified to meet the needs of each student. Students are taught using experiential, cross-curricular and differentiated instructional techniques. Learning to work independently and in group settings is a focus of instruction. All instructional objectives are aligned with Texas Education Agency’s core standards. Social skills are taught in twice-weekly therapy groups, led by a staff therapist. 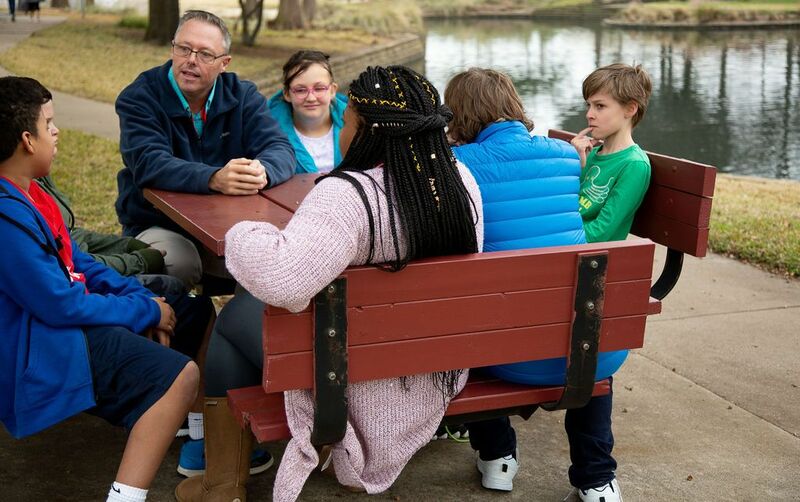 Groups focus on interpersonal relationships, appropriate peer interaction, expressing emotions appropriately, problem solving and coping skills. These skills are practiced, enriched and supplemented in the classroom. Teachers model, coach and intervene directly as needed. Students often encourage peers to use appropriate emotional thinking, social and interpersonal behaviors. Social and effective skills are supported by a daily level system that provides both visual and verbal feedback to each student regarding behavior and personal responsibility. The student, teacher and therapist choose personal goals jointly. Increasing responsibility is rewarded with increased social privilege. Individual and family therapy are available through Vanguard. Conflict Resolution is taught weekly during an extended homeroom period. Negotiate is an anti-bullying program that focuses on respect for individual differences, problem solving and perspective taking. Students solve real life problems, learn compromise, negotiation and resolution of conflicts. Students participate in activities and discover new ways to deal with daily issues of adolescence, learning compromise, perspective taking, respect for others, giving and receiving honest feedback and managing emotions appropriately. Age appropriate social skills are further developed through daily practice in the classroom, during break and lunch, social clubs, parties and regularly scheduled outings. Sensory and regulatory activities are provided approximately every two hours. Students participate in sensory breaks after lunch and at the end of the day. Students are taught to request and use calming and organizing activities to maintain the appropriate arousal level for optimum learning. Creativity is supported and encouraged in all academic classes, and during art instruction. Students may participate in Music Learning Band if they wish. Individual Occupational therapy is provided as needed for all middle school students. Individual Speech/Language therapy is provided on an as-needed basis for all middle school students. We support our families through informal discussions, development of home programs, behavior coaching, consultation and collaboration.